As I have said, I am thoroughly enjoying my new hobby. It has cheered me up on a few gloomy days & it has brought into my life a number of new friends. 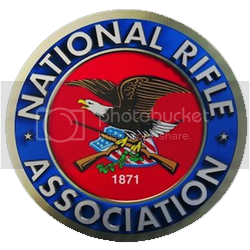 I don't know that I will ever be comfortable with a holster on my hip, but I would like to find some other way of outwardly showing my interest in shooting (subtly) in my daily life. It is not my goal to take on a dark and brooding (aka "Goth") persona. I also have friends who are less comfortable with guns and the discussion of guns, and I don't want to offend them. Therefore, I have gone in search of some style ideas that will express my enthusiasm without ringing out, like a gun shot. 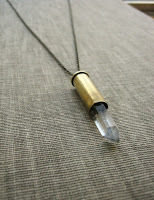 My first idea was jewelry out of shell casings. If you run a search on Etsy.com, you will see that I am not the first to think of this. 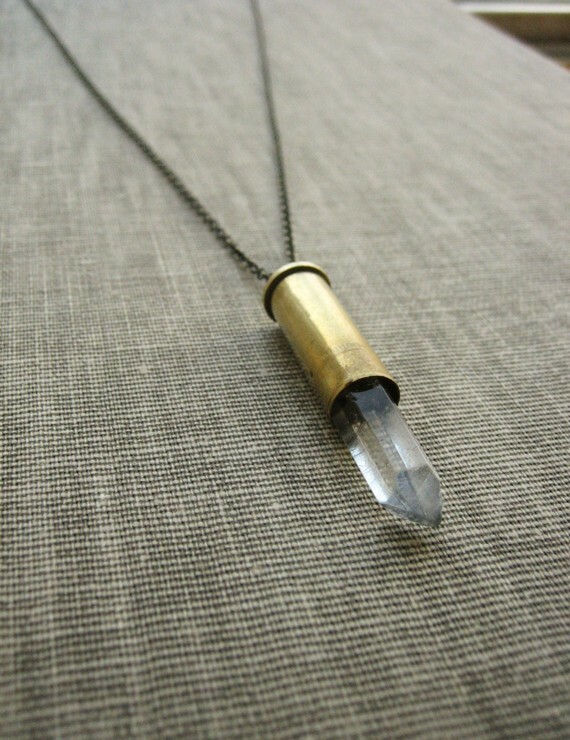 I am somewhat uncomfortable with how many people are selling pointed pieces of crystal secured inside empty brass. 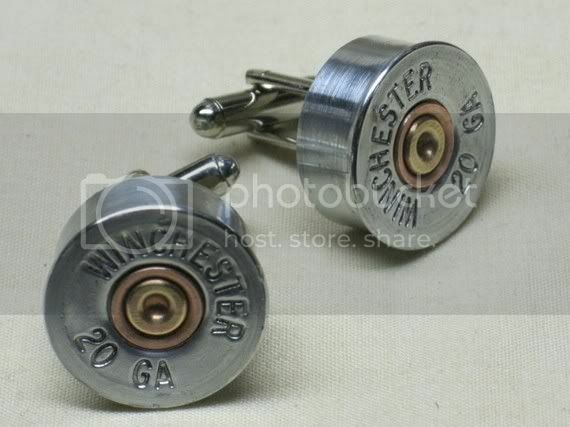 But these cufflinks are well done. There is a young lady making and selling some really neat brass casing jewelry at many of the local RK shows. I'm keen on lapel pins, and the 45 caliber model complemented my suit admirably at the Georgia Carry convention dinner last night. Her cufflinks might even have me wearing French cuffs more often.